All prices are current and are subject to change and include UK VAT on all new items, second hand items contain no reclaimable VAT. If you are purchasing from outside the EC (European Community) we can deduct the VAT from your items, however you will be responsible for all import duties and taxes into your own country. We can accept payment via debit/credit card, Paypal, payment to our bank either online/international bank transfer or at your bank, we can also accept major debit cards for online purchases. In the shop we can accept debit/credit cards or cash on collection. Many of the manufacturers of instruments we represent do not allow pricing of the instruments we have in stock to be posted on the internet. 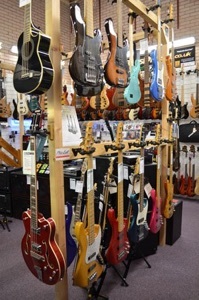 For this reason, we will quote you pricing on a specific instrument(s) via email, or phone. Simply click the contact tab for the Bass Direct contact information. We check emails often, and will respond to your inquiry quickly. Phone quotes are available M-S from 9.30 am until 5.30 pm. If you are interested in custom ordering an item, you can inquire via email or phone. We can discuss your desired specs, offer recommendations, and put together pricing for your custom order. Orders that are outside the EU zone are exempt from UK VAT at 20%, (second hand items have no VAT that can be deducted) Items purchased by customers inside the EU zone do not have top pay any further duties or taxes on their purchase. •Please note that all postage/shipping quoted on the site is for UK/EU mainland unless specified. We use paypal buttons on our site but can only ship to “Confirmed” addresses. 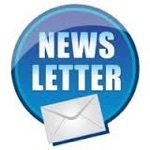 We also request that you email us a telephone number for the courier companies. Please note if your address is not confirmed you will need to email or send us proof of your ID and address like a driving licence or bill. At Bass Direct, we offer a 48 hour approval period on all purchases purchased in store and 7 days for items purchased online or over the telephone. We understand that it may seem risky to purchase an item that you may not have had a chance to try out personally. We have countless happy customers who have purchased instruments and other items ‘sight unseen’. We’re here to help ensure you make well informed decisions so your buying experience is as smooth as possible. We represent manufacturers who produce some of the best looking, best sounding, and longest lasting bass gear on the market. If you're not totally satisfied with your purchase, we'll refund the entire purchase price of the item (less transportation both ways). Please note. All dimensional and weight figures quoted on our site are for reference only, if exact figures are required please make sure you request these. 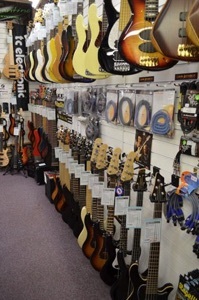 Most products such as Basses, Amplifiers, Bass Enclosures, Effects and other items containing electronics are fully tested by Bass Direct before they are shipped out. If an item is not working properly upon delivery, contact Bass Direct upon finding the problem. We may be able to trouble shoot any issues on the spot. If it is determined that there is an issue with an internal component, Bass Direct will contact the respective manufacture in order to determine the fastest method to get the item fixed or replaced. If you should decide to return an item for any other reason, please first contact us via phone or email. We will issue a Return Authorisation number (RA#) for the return shipment. The Return Authorisation number should appear on the outside of the package being returned. Upon receipt of the return, we will inspect the item. Please note: there is a 10% re-stocking fee on all items returned that are not faulty. Returned items are to be sent back in the condition it was received and in the original packaging. Customers that return a damaged or used item will not receive a full refund and will be responsible for the full payment price of the product. Items that have been abused, returned with exterior blemishes, scratched, or have incurred other damages consistent with mishandling of the product will not be eligible for refund. Bass Direct reserves the right to determine, at our discretion, if an item that has been returned qualifies for a refund or exchange. Customers are responsible for all shipping costs where an item is returned that is not faulty. Bass Direct will keep and preserve in strict confidence all of the sensitive or confidential information which is made available. Bass Direct values our customers and users and of our website. All personal information submitted to Bass Direct is confidential and will not be sold or intentionally shared with a third party. Dissemination of data will be limited to Bass Direct employees, agents, or 3rd party who need the data for the completion of services and products. Your usage of contents of this web site and associated online shopping website is conditional on your acceptance of the following terms. If you do not accept the terms, refrain from using any of the contents, documents and/or information. All of the Information, documents, products literature, graphics, white papers, brochures, web pages, press releases, samples, software, etc. (collectively referred to as "documents") located on this web site in any form are ©copyrighted by applicable companies as indicated on the documents. Documents are intellectual property of their creators and all of the rights are reserved by the appropriate companies unless noted otherwise. You are permitted to view the documents for conducting your normal course of business however all copyright notices shall remain intact. You may not re-distribute the documents in anyway that would conflict with the copyright notices. You may not use the documents in competition with or to reverse engineer the products or services of Bass Direct. The documents are provided "as is". Documents are considered to be recommended guidelines. Documents could contain errors or omissions and Bass Direct, nor any of their employees or associates, or other companies creating the documents, make any warranty, express or implied, or assume any legal liability or responsibility for but not limited to the correctness, accuracy, completeness, or usefulness for your usage of the documents or any information that they contain. Bass Direct reserves the rights to change the specifications in their respective documents or their contents from time to time without any notices.